Mainely Frugal | Not your grandma's Home Ec. In the distant past, I wrote a post about shopping online without a credit card. At the time, I recommended Vanilla Visa gift cards; these cards come in denominations of $25, $50, and $100, and can be purchased in many places, such as CVS Pharmacy. I have come to decide that these cards are NOT the way to go. A big disadvantage of the Visa gift card variety is that they are only good for the face value, and cannot be reloaded. Add to that a steep initial purchase price, and the cost-effectiveness of using the card goes way down. The environmental impact of all those disposable plastic cards is also a concern. Since then, I have been using– and highly recommend– the Wal-Mart Money Card. Say what you will about Wal-Mart (and I’ll probably agree with every criticism you might have), but the Money Card has changed my financial life. Using the Wal-Mart Money Card for direct deposit and bill-paying has made budgeting so much easier… and no more weekly trips to the bank to cash paychecks! Most important, I am only spending what I actually have– no credit card debt or hassles. Do yourself a favor and check out the Wal-Mart Money Card. You may very well decide it is the right choice for you. How embarrassing to see that it’s been almost two years since I’ve updated this blog! 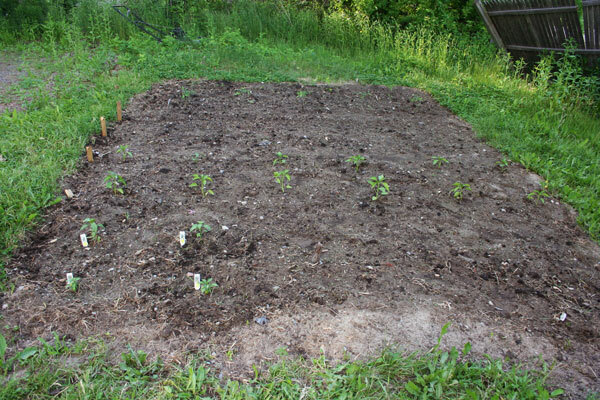 Well, at least I have something wonderful to show for my absence: a brand-new veggie garden! 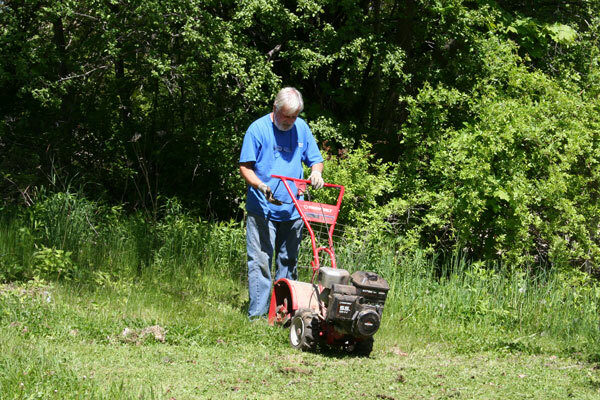 The landlady let us dig up the yard– my boyfriend’s parents came down about ten days ago with a roto-tiller. 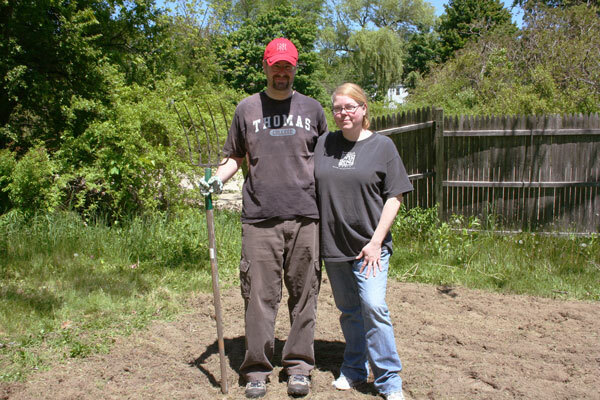 We made a garden plot about 12 feet by 20 feet, which is plenty big for our purposes. We’ve since planted both seeds and seedlings. We would have liked to have started everything from seeds, but we got off to a late start. 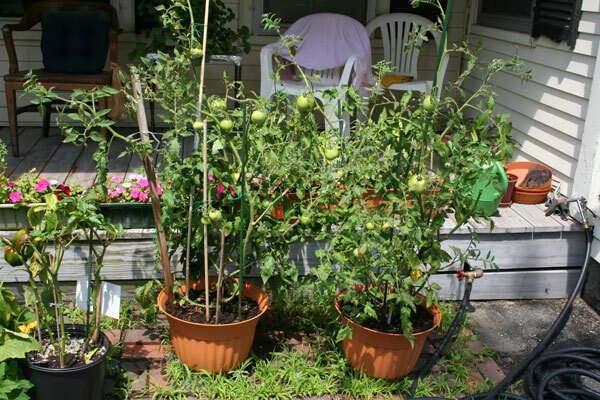 Tomato and pepper seeds need to be started indoors a few months before transplanting. 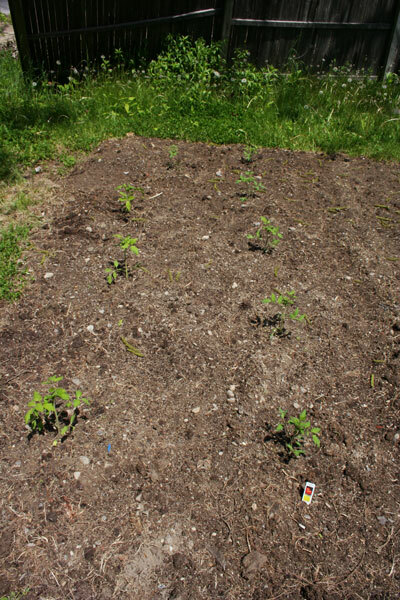 We planted tomatoes, green beans, carrots, red and green bell peppers, jalapenos and habaneros, and yellow squash. I expect to be making plenty of spaghetti sauce and salsa! I plan to take a workshop in canning and preserving offered through the University of Maine Cooperative Extension (a great resource for learning about gardening). I grew veggies in containers last year, and it was exciting and rewarding to harvest my own vegetables. I can only imagine how great it will be when my new full-size garden starts producing veggies! I’ll keep posting updates, I promise. Row 7/8 right: yellow squash. If my Google Reader inbox today is any indication, there seems to be a movement calling for schools to reinstate Home Economics classes. I absolutely agree that bringing back a revamped version of Home Ec is a great idea. Now, I suspect Home Ec went away as an understandable reaction to the gender role stereotypes of the 1950’s and ’60s. There is often a fine line, however, between reaction and over-reaction. Reflexively swinging to the opposite extreme rarely solves a problem. If anything, it creates new problems. Feminism, as I subscribe to it, is simply a state of independence– being able to take care of yourself, with or without a man. That may be oversimplifying (and probably to some, underestimating) the matter. Nevertheless, “taking care of yourself” without a doubt includes being able to feed and nourish yourself, as well as manage money responsibly. These were the two pillars of traditional home economics. Am I saying that feminism necessarily means malnourishing yourself and your children? Not at all. But boasting the inability to cook as some sort of feminist merit badge strikes me as foolish, that’s all. It is something women should think about, at the very least. There may be other factors contributing to the widespread inability to cook healthy meals at home. In the absence of home cooking, for example, heavily processed convenience foods have stepped in to fill the void… and to fill stomachs. Far be it for me to suggest some nefarious food industry conspiracy behind this. I’ll just say that for consumerism to work as a way of life (as it has in America for some 60 years), it has been necessary to discourage responsible money management and to encourage poor eating choices. Cooking in large batches and freezing it for future meals is also a great way of saving time and money. All that said, I’m actually pretty squeamish about leftovers. Friends say I’m a germophobe, and maybe I am. But if it’s a personality flaw to not want e. coli in my system, then I’m as flawed as can be! Paying attention to food safety couldn’t be more important today! I’m very cautious about how long I keep leftovers around in the refrigerator. For dishes I’ve cooked myself, 4-5 days has always been the maximum refrigerator time. Restaurant leftovers, generally 2-3 days tops. I just found a super resource from the FDA (Food and Drug Administration). It shows the recommended guidelines for how long food can be safely kept in the refrigerator and freezer. My personal guidelines came mostly from instinct, and are not too far off from the recommendations. I may adjust my leftover management schedule slightly. I am a germophobe, after all. If time is money, then I’m less frugal than I thought! I’ll really need to manage my time very carefully if I’m going to make it to graduation! Yes, I’ll be graduating in December with my Associate’s degree in Liberal Studies. After that, I’m transferring to the university for my Bachelor’s in Media Writing. The next few months will be a crucial time for me… and time itself will be crucial! After spending the past few days keeping track of how I actually spend my time… I realized I waste a lot of time! Now, I’m all about living a life with broad margins (as Henry David Thoreau once wrote), but I’ve been seriously out of control! There’s really no excuse for playing twenty-seven consecutive games of Snood. That will not work when I’ve got six classes’ worth of papers and projects to do! What I really need is to budget my time as frugally as I do my money! Just as in learning to control your money-spending, it will take great self-discipline to rein in my rampant time-spending. I need to re-frame time as being just as valuable as money– Time is something that should be managed carefully to maximize its usefulness. Obviously, the analogy only goes so far– you can always make more money, but you’ve only got twenty-four hours in the day, and that’s it. Still, a subtle change in perception can make a huge difference. Anyway, I’ve been working on an Excel spreadsheet, similar to my financial budget, to portion out my hours as if they were dollars. I’ll post a screenshot when it’s done. I know I can stick to a money budget…. but can I stick to a time budget? Back-to-school shopping time for Christine! This week, OfficeMax has their 15%-off-everything-you-can-stuff-in-a-paper-bag promotion going on. It’s a standard sized brown paper grocery bag, and on my shopping safari yesterday I came nowhere near filling it. 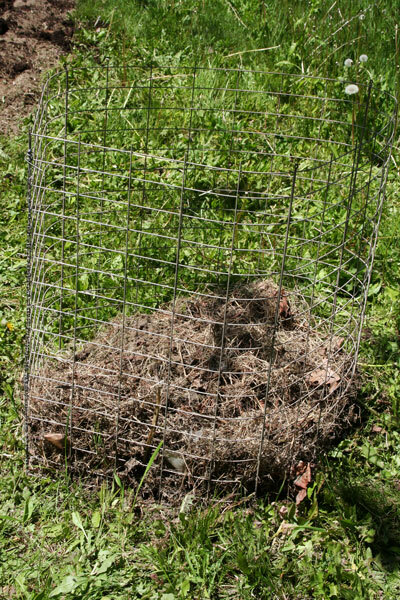 It can hold a deceivingly large volume of small pricey impulsive things, which is the nefarious plot that lies below the surface of the promotion. In fact, I only bought about $10.15 worth of various things– a package of highlighters, some index cards, two three-ring binders (good price on the Avery “Durable” ones), a pencil pouch (so I can easily find my stuff, instead of digging around in my backpack for my eraser or pencil leads), and who knows what else. Restraint was used, anyway. I pay for my loot, and check the receipt before I leave. And do the math in my head, just to be sure. There’s no sign of my 15% discount! The whole ritual of putting-things-in-a-paper-bag-and-get-a-discount was the point of my visit! Still overpriced, even at 15% off… but oh well. I went back to the cashier and (sweetly as can be) pointed out the error. She apologized and gave me my one dollar and fifty-two cents. I felt a little silly, but I lived up to my end of the contract– I put things into a bag as they required! Besides, that $1.52 could buy me several ounces of gasoline. Always, always, always check to make sure you get any discount you’ve been promised! Think about the big picture: If 100 people per store, times 1000 stores in the country, don’t get their $1.52 discount, that’s $152,000 that Office Max has stolen from the people of America.